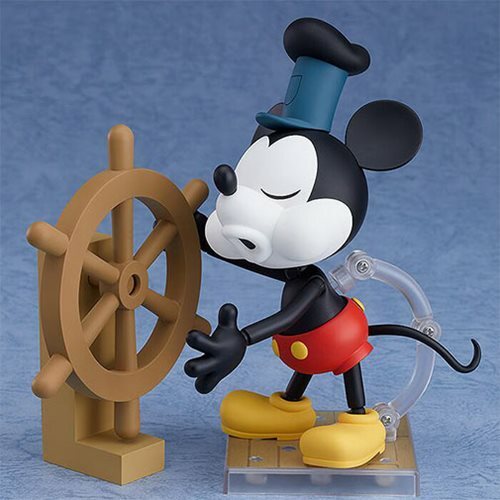 From Steamboat Willie comes the Mickey Mouse Steamboat Willie Nendoroid Action Figure! 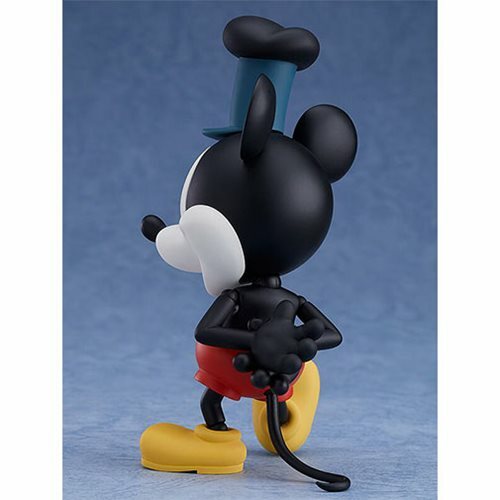 While the original cartoon was in black and white, this color version of Mickey is based on the few documents of Mickey's color design from the time. While maintaining his appearance from that time, he's been brought down to adorable Nendoroid size. 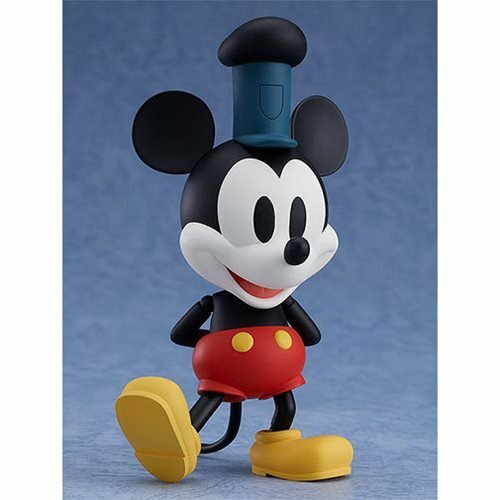 With a bit of a different color pallet from the present day Mickey, he takes on a distinct and adorable apperance. 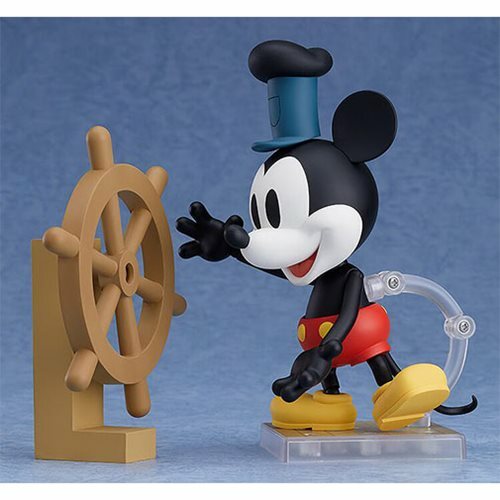 He comes with a smiling standard expression and a whistling expression, allowing you to recreate famous scenes of Mickey at the ship's wheel from the film. 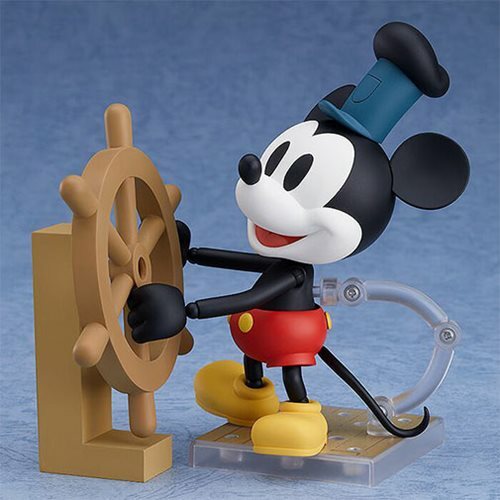 The included ship's wheel can be rotated to allow for all kinds of posing options. 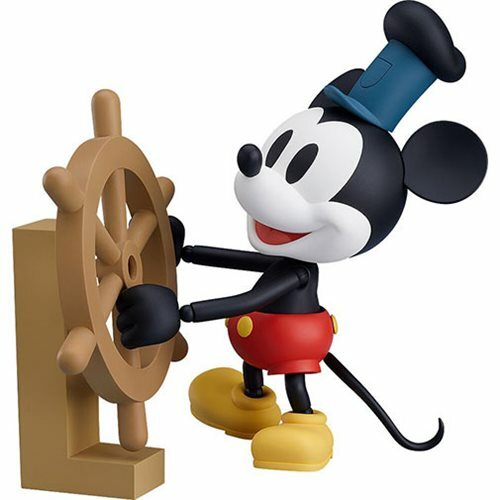 Mickey also comes with both long and short arm parts, as well as standard and bent leg parts, and a stand base that features a design based on a steamboat deck. Be sure to add him to your collection! Stands roughly 4-inches tall.